Does solar oven work in winter? 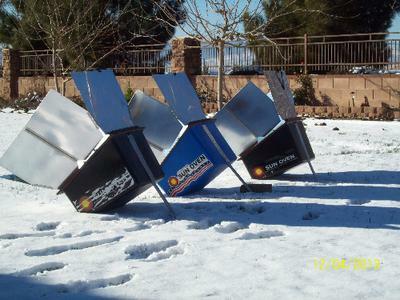 I need to do a project on solar oven and its the winter right know! would it work? Greetings ??? I didn't catch your name. And, thank you for your question. Yes, you definitely can solar cook in the winter time. We do it all year round. You might find this page helpful with lots of information and insight on this subject.